In this month’s “Searching for the Extreme: Bill Low, Founder, CEO, and Chief Designer of AudioQuest -- Part One,” Low stated, to SoundStage! 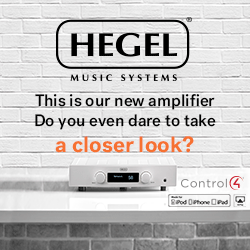 Ultra contributor Peter Roth, “I view the hi-fi equipment ‘upgrade path’ as being like bringing flowers home to your system. Possibly, the most significant ingredient in the upgrade path is not the presumably better performance, but the novelty and renewal of the audio relationship that the new equipment enables. The change in audio quality and the renewal of the relationship are intertwined and inseparable.” As I sit here today and peer around my listening room, the Music Vault, I feel exactly as Low describes: renewed. Audiophiles have lots of choices. Today, buyers can spend less and get more than ever before, and this is especially true with loudspeakers. Such brands as Bowers & Wilkins, KEF, Paradigm, and PSB offer multitudes of models that most aspiring audiophiles can afford. 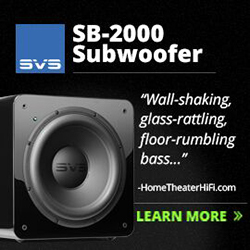 In terms of sound and value for dollar, these speakers can be really, really good. I was having an e-mail conversation with a distributor friend of mine, Boris Granovsky, of Absolute Hi End, in Australia. We were discussing different audio brands and models, something we’ve done ever since we first met, a few years ago at Munich’s High End, at a dinner hosted by Crystal Cable (the maker of swanky cables based in Arnhem, the Netherlands), where we had an enlightening (to me) conversation about all things extreme audio. 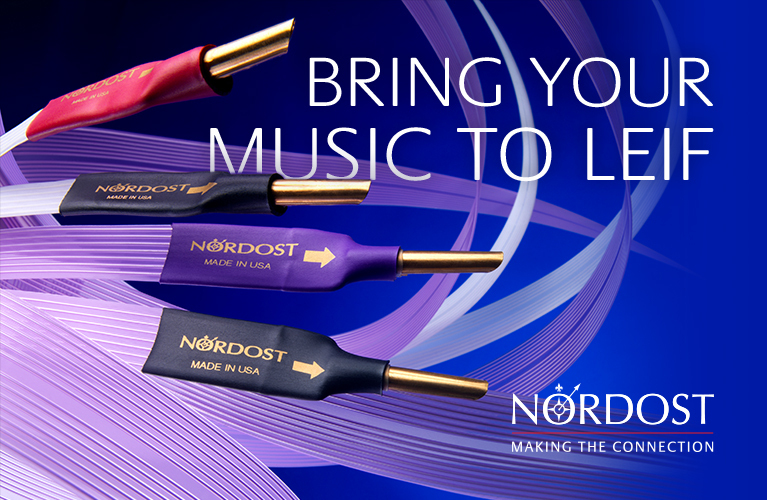 Boris is in the unique position of distributing not merely a few but many of today’s great audio brands. If you peruse his company’s website, you’ll see brands that typically are represented by competing distributors all under his one tent. He has more opportunities to compare top-shelf products than even most audio reviewers. This is why I enjoy hearing Boris’s opinions -- I feel think they’re exceptionally well informed. One of the most popular opinion pieces I’ve written in the past few years, in terms of total number of reader views, was “Devialet, SAM, and the Changing of the High-End Guard.” In it, I described my experiences with the Devialet 120 integrated amplifier-DAC ($6495 USD) and, more specifically, Devialet’s Speaker Active Matching (SAM) function, which worked so well with Magico’s excellent S1 loudspeakers. I had high hopes for Devialet’s products -- still do, actually -- but now I’m beginning to wonder. Barely a day goes by that SoundStage! Network publisher Doug Schneider and I don’t have discussions about the daily workings of the business, and the long- and medium-range goals we have for the SoundStage! magazines. Doug is very much the visionary here, often seeing industry trends early and recognizing openings through which we can leverage our strengths. My role is different: I keep us on track. Stephen R. Covey, author of The Seven Habits of Highly Effective People: Powerful Lessons in Personal Change and other notable books, once said, “The main thing is to keep the main thing the main thing.” Yes, we have expanded SoundStage! 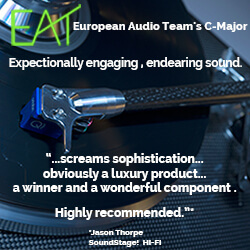 greatly over the past six years, but we’ve also remained true to our roots: solid reviews of high-end audio components, posted on the first and the fifteenth of every month. That last part is critical. This past May, while in Munich, Germany, to attend High End 2015, I was a guest at a manufacturer-sponsored dinner where I was seated next to Stereophile writer Michael Fremer. We talked about a number of subjects, including, unsurprisingly, his love for analog sound. Unless you’ve lived under a rock, you know that Fremer is an LP-and-turntable guy. Throughout our very civil and enjoyable conversation, there were many points we agreed on, and a few we did not. However, one thing Fremer said stood out from the rest: He can’t enjoy digital recordings; it takes analog sound to relax him and get him into the music. That’s a paraphrase, but it captures his gist. I believe this to be his honest opinion, and have no reason to believe he’s shilling for the analog-equipment manufacturers. I trust him on this. While in Munich attending High End 2015, I made a point of taking one afternoon off show reporting to do something we SoundStage! folks struggle to do at any show: listen. We specialize in running around show venues covering new products, but it would be a shame to have so many great speakers introduced in one place and not get to hear them, back to back to back. So on Saturday I set out to listen. By the end of that day, it was these seven speakers that I found most appealing. It amuses me when, on audio forums, I read the words of rich, cantankerous old audiophiles defending, for all they’re worth, their five-figure audio systems against other forum members who’ve heard something much cheaper that sounds, to them, better. The latter is audio heresy. I mean, if someone has spent 50 grand on a DAC, or 100+ grand on some amps, isn’t it downright rude to suggest that something much less expensive might sound better? The nerve. One of SoundStage! Ultra’s readers, Brad Potthoff, had the best line on Devialet. He said, in a letter from August 2014, that the Devialet integrated-DACs are “utterly disruptive.” To the high-end marketplace, that is. He was responding to what I’d written about the Devialet 120 in “Devialet, SAM, and the Changing of the High-End Guard.” In that article I said: “My advice: Don’t go near one of these things without being prepared to buy it. It’ll ruin you for anything else.” Later I reviewed the Devialet 400, and further solidified my assessment: “If you’re like me, once you hear the Devialet 400, there will be no going back. I’m as surprised as you that I’m saying this, but the Devialet 400s produced the best sound I’ve ever heard.” As Brad said, utterly disruptive.